Tonight, following the premiere of Legends of Tomorrow, The CW will air DC Films Presents: Dawn of The Justice League, which will promote Batman vs. Superman as the first film in the Justice League series while also offering up a first look at the official Suicide Squad trailer. If that all sounds a little confusing (a TV show promoting a movie promoting a franchise promoting another movie), that’s OK, just know this: there’ll be a lot of never-before-seen footage from Batman vs. Superman and Suicide Squad. Can’t wait until then? We have another brand new Suicide Squad poster for you, this time with the entire cast. 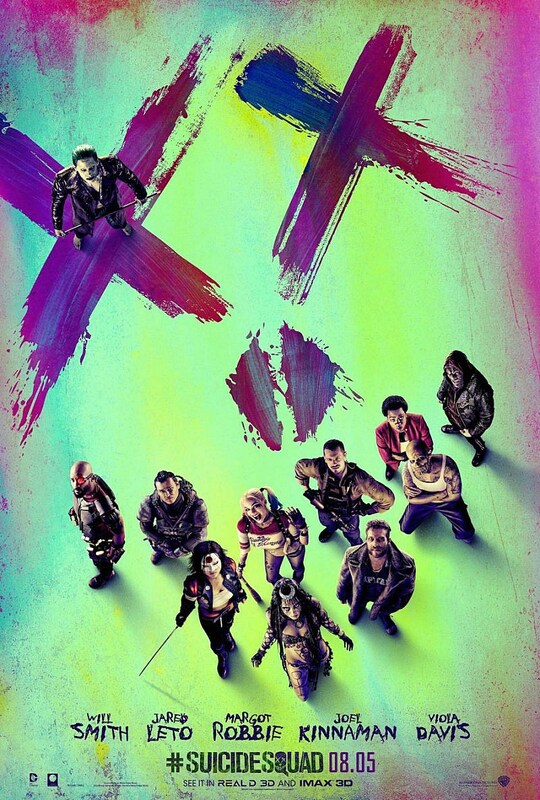 The previous Suicide Squad poster relied on an artists rendition of each of the characters in the film as cartoon skulls, but this poster actually uses photos of the entire lineup — Deadshot, Harley Quinn, Killer Croc, Katana, Enchantress, Captain Boomerang, Amanda Waller, Diablo, Slipknot and, yes, The Joker — to form a cartoon skull. You would think for a bunch of comic book characters most people have never heard of, you’d want to zoom in a little closer, but hey, this IS a teaser poster. For the rest of the Batman vs. Superman and Suicide Squad reveals, you’ll have to tune in to The CW tonight at 9.30pm ET. Or, you could just check back here for all the best parts.